I admit that while I am a Messianic Jew or a Jewish Christian, I don’t necessarily represent the messianic view, but a view. Secondly, being an Israeli who has spent more than seventeen years in the Israeli Defense Forces (IDF), both in active duty and as a consultant to the IDF, my views might be considered subjective. But having a citizenship in heaven, I hope that my views are biblical and objective as well. And thirdly, I want to thank the Borough Park Symposium staff and particularly Dr. Mitch Glaser for inviting me to present this paper, which has helped me to deepen my understanding and sharpen my views on the subject. No one would doubt that the Israeli and Palestinian conflict is one of the most complicated and complex conflicts in the world. Politicians, presidents and prime ministers have tried to bring peace to the region. Many books have been written and countless news’ programs focus on the unsettled events in the area. But no matter how impossible it seems, many still hope to see peace in the region and envision an end to the violence and killings of the innocent on both sides. In spite of all that has been said and done in the past, we should not give up hope but look to the Prince of Peace in bringing his peace to the hearts of Israelis and Palestinians. To understand the Israeli-Palestinian conflict, and the current situation, we cannot look only at the present but have to look back beyond 1948 to better equip ourselves to grasp the complexity of the conflict. Time does not allow us, but I believe the conflict goes further back and has its root in the enmity that we find already in Genesis Three. This also is a spiritual conflict, not good against evil, but rather the hindrance of gospel work among our two people. Biblical history is about enmity, conflict and reconciliation. In fact, in the book of the beginnings, Genesis, we witness three conflicts. The first and foremost is the one in Chapter Three when Adam and Eve, God’s supreme creatures, believe in the lie of the serpent rather than the truth and the firm warning of God –– “Surely you shall die.” From there, God puts enmity between the seed of the woman and the seed of the serpent. That enmity erupts in the next chapter as we witness the first murder and continues not only throughout the whole of the Old and New Testament, but throughout history. The end of that enmity culminates in the book of Revelation, when God “creates” the new heavens and the new earth where there is no more sin, death or tears. Two other conflicts are shorter in length. First, is the story of Isaac and Ishmael, and then, Jacob and Esau. Both of these conflicts find their resolution in the course of the book of Genesis, as the brothers make “peace” with each other, but these enmities set the stage for what was to come. The Israeli-Palestinian conflict has its roots in these past hostilities. I believe the two major issues in the Israeli-Palestinian that impede our path toward peace are the disagreements concerned with the issues of land and justice. I will begin with some history in order to examine the centrality of land in this controversy. We cannot speak about the conflict, without understanding the plan and acts of God in his world. It is in the context of God’s plan of salvation for the universe that we see the unfolding of history and events that shape history. As it is often said, “history is his story.” It’s our job to comprehend that plan. In that grand plan, God chose one man, one family and one people through whom he brought his light and salvation to the world. God’s call to Abraham in Genesis Twelve was the beginning of executing that plan. God’s call and covenant with Abraham included great promises of blessings to him and his descendants, for through him the nations of the world would be blessed. The promises made to Abraham were reiterated to Isaac and Jacob. Jacob later received the name, Israel, which means to strive, symbolizing not only his life but also the lives of the people who inherited his name. Ironically, Jacob’s twelve sons and families led from slavery out of Egypt, became a nation, were delivered, and brought by God to the Promised Land. In fact, it was in Egypt that for the first time God calls them, “my people” (Exodus 3: 7). After forty years in the wilderness, a new generation, who for the most part hadn’t experienced slavery, miraculously conquered and entered the land promised to their fathers. In preserving the seed of the woman (Genesis 3:15), through the patriarchs, God now brought them into the land he had promised. When God created Adam and Eve, he placed them in a specific place, a beautiful garden. This choice territory was described by four specifically named rivers that flowed through the Garden of Eden, which was filled with several types of trees, including the Tree of Life, and the Tree of the Knowledge of Good and Evil. After blessing Adam and Eve, God said to them, “Be fruitful and multiply and fill the earth and subdue it and have dominion over everything that moves (Genesis 1:28). When Adam and Eve sinned against God, he made garments of skin to clothe them and then drove them out of the Garden of Eden (Genesis 3:21-24). Blood had to be shed in order to provide garments of skin. This is how God acts, full of grace towards fallen man, but also looking toward his great future acts of justification and restoration. As we move forward through history we see again that land played a major role in God’s call to Abraham. In the first sentence of God’s call to Abraham we read, “Go from your country and your kindred and your father’s house to the land that I will show you (Genesis 12:1). Then, as soon as Abraham arrives in Canaan, God tells him that he will give him this specific land. The Promised Land was a particular place in the world, a specific land with well-defined borders. This is the land that later on was described as flowing with milk and honey. That is to say, it was fertile farmland, abounding with agricultural produce. God himself was the one who conquered the Promised Land with little effort on the part of the people of Israel. The land was a sign of God’s blessing on his people, and that is why it was a good land. God described it as such to Moses when he called him from the burning bush (Exodus 3:8). This was an important sign of God’s faithfulness to his promises, despite the sins and shortcomings of the people of Israel. A fact that is important to remember. The book of Joshua describes in detail the conquest of the land and the division of the land among the twelve tribes. In addition, we learn of the many sins of the people of Israel and the judgment of God. Again and again, we read about the people of Israel doing what was evil in the sight of the Lord. And yet, despite all their sins and their repeated short-comings, God remained faithful. He kept them in the land. However, when the people of God did not follow the laws of God over a long period of time and after many warnings, God sent them into exile. The land was taken from them, and they were driven out. This was true also when Adam and Eve disobeyed God. They too were exiled, from the Garden of Eden. The people of Israel were exiled from their land after centuries of disobedience to the commands of God. Their land was taken away from them and given to others, but not for long. The Lord brought them out of exile and enabled them to rebuild not only Jerusalem but the temple as well. The significance of land is seen not only through Adam, Abraham, and the people of Israel, but also by God himself who chose an earthly dwelling place for himself. In 1 Kings 11:36 we read, Yet to his son I will give one tribe, that David my servant may always have a lamp before me in Jerusalem, the city where I have chosen to put my name. Here, we see the connection of God to David and the city of Jerusalem. When we come to Revelation, the final book of the scriptures, we read the words of the Angel of Philadelphia to the church. The one who conquers, I will make him a pillar in the temple of my God. Never shall he go out of it, and I will write on him the name of my God, and the name of the city of my God, the new Jerusalem, which comes down from my God out of heaven, and my own new name –– Revelation 3:12. We know that our Lord, son of David, son of Abraham, came down from heaven, lived in the land of Israel, and was crucified in the city that carried the name of God, the city of Jerusalem. As important as land is in God’s economy, it never had a value in and of itself, but only in conjunction with a person or people. What gives land its significance is the people who live there, and what they make of it. If you look at different parts of the world, you will notice that prime real-estate is often so because certain people live in it – think of Manhattan or Hong Kong! The reference to land and the people in the scriptures are so interwoven that at times it is hard to distinguish between the land and the people who live on it. The Old Testament prophets spoke of the people and the land as one. Penalties for the sin of the people included the desolation of the land. On the other hand, when the people of Israel obeyed the Lord and walked according to his ordinances, the land was fruitful. Joy and pain both were attributed to the land. Again and again, we see that land is inseparable from the people who live on it. The identity of the two is knitted together. When God allowed the people of Israel to return to the Promised Land, after the declaration of Cyrus, they returned to the same place from which they had been exiled. The return to the land was a blessing and had the aroma of forgiveness for their sins! The connection that God made between people and land affected the relationship of the people of Israel to the land as well. In exile, far from their homeland, they were sad. You can hear it in their voices in Psalm 137:1 By the waters of Babylon, there we sat down and wept, when we remembered Zion. Even today at every Jewish wedding you will hear the famous words from Psalm 137:5-6. If I forget you, O Jerusalem, let my right hand forget its skill! Let my tongue stick to the roof of my mouth, if I do not remember you, if I do not set Jerusalem above my highest joy! The destiny of the people of Israel was tied to the land of Israel. God’s foremost interest was and remains the people, not a piece of real estate, no matter how valuable it may be. Just as Jesus said the Sabbath was created for man and not man for the Sabbath (Mark 2:27), so the same principle can be related to the land. God did not create men so that they would occupy the land, but rather land was created and given to men in order to fulfill their call and role. The land was never an end in and of itself, but a means to achieve a goal. And the goal has always been the redemption of God’s people from every tribe, and language, and people, and nation. The last important issue to note about the land was that it was a gift chosen by God. Adam did not choose where he would live, but rather God placed him in the Garden of Eden. When God called Abraham, he did not give him the option of choosing where he wanted to go but told him where to go. In the same way, as was mentioned earlier, it was God who conquered the land for the people of Israel. The first sign of that was the crossing of Jordan, where the Lord made the waters stand. Another example is the fall of the walls of Jericho. The land was a gift given to Israel because of God’s faithfulness to his covenant with them. It was not a reward for good behavior by any means. If anything, they deserved punishment. It was by and through God’s grace. Despite the unfaithfulness of the people, beginning with the worship of the golden calf, and on into the times of the kings, God gave them the land he had promised. Despite the sins of the people and their lack of repentance for decades and centuries, God in his faithfulness kept them in their land. As we move forward through history to the days of the New Testament, it seems that the land comes to occupy a far less central role. Although the emphasize is not as acute as in the Old Testament, the land still has a place in God’s economy in the New Testament, but predominantly as in regards to the work of the gospel. It was in the land of Israel and in Jerusalem, in particular, that the ministry of Jesus began and ended. The disciples of Jesus were to be his witnesses beginning in Jerusalem, to Judea and Samaria, and the remotest parts of the world. Thank God that in our day we see how the gospel has reached the four corners of the world. Under the New Covenant that had been promised by the prophets to the people of Israel, we notice an expansion. We see the inclusion of the Gentiles as co-heirs to God’s promises. According to God’s plan of salvation for the world, Gentiles are now grafted into the natural tree, as Paul so eloquently lays before us in Romans 9 – 11. God has brought about a partial hardening of hearts in Israel, until the full number of Gentiles will come in and then, all Israel will be saved. This expansion by no means detracts from the fulfillment of God’s promises to Israel. Paul emphasizes clearly that the gifts and the calling of God are irrevocable. This expansion is part of the redemptive plan of salvation for all people. When he sees Jesus coming toward him, John the Baptist declares: “Behold, the Lamb of God, who takes away the sin of the world! The coming of the Messiah, who was born in the Promised Land, ushered in salvation to the whole world, Jews and Gentiles. That is the ultimate goal of God in history, from the beginning in Genesis 3:15 when he promised to put enmity between the seed of the woman and the seed of the serpent, with the clear intention that the seed of the woman will bruise the seed of the serpent in the head. The death and resurrection of Jesus, the seed of woman, was the fulfillment of that promise. While land has an important place in history and in our lives today, those of us who belong to God set their eyes on a heavenly land, not an earthly land. By faith, he (Abraham) was looking forward to a city that has a foundation and whose designer and builder is God (Hebrews 11:10). We need to live our lives with the goal of proclaiming his gospel to the world and making disciples of all people. Our concern should be for our eternal destiny, and that of others. We look forward to the place Jesus has gone to prepare for us, as he described in John 14:1 – 2. In his sovereignty and in fulfillment of his promises, God restored the people of Israel to the land after almost 2000 years of exile. While there has always been a remnant of people who have lived in the land, it was only when God allowed Jewish people to return to their homeland, the land of Israel, that the nation in a sense, was resurrected. It is in that land, during the last few decades, that the gospel has gone out again to the Jewish people, and many have come to faith in the promised Messiah of Israel. I do believe that the establishment of the state of Israel in 1948 was part of God’s redemptive plan of salvation in bringing the gospel to the Jewish people. We are witnesses to the establishment and growth of the church in Israel –– slow, but sure. Today, the number of Jewish believers is on the rise in Israel and also in the Diaspora. This is despite the huge blow during the Holocaust when tens of thousands of Jewish believers in Europe were murdered. This also put an end to the communities of Jewish believers. The restoration of the Hebrew language in the late nineteen century, together with the restoration of the land of Israel in 1948, in my opinion, has paved the way for the restoration of the people of Israel. It is after some 2000 years that the Jewish people are not only in the land promised to their fathers, but they also speak the same language. These two factors together enable the gospel to impact the people in the land. Ever since the Babylonian exile, Jewish people have had a deep desire to return to the land of their fathers, to Zion. While much of that desire was a spiritual aspiration for building the temple, the meeting place of the God of Israel with his people, it also had historical and political elements. The desire to return to the land of their fathers was part of deep longings for Zion. Psalms 137 shows their homesickness in a foreign land to be back in Zion. The connection to the land was so deep that despite extreme hardships, there was always a presence of Jews in the Holy Land. Archeological digs have discovered some 100 synagogues built during the Byzantine era, between the fourth and seventh centuries, demonstrating the connection of Jewish people to the land. Since the start of Christianity, Jews have suffered for being who they are. Soon after the birth of the church, Jews who believed in Jesus as their Lord and Messiah brought forth both testaments, as well the Messiah (Romans 9:4-5). Some accused them of being Jesus killers, a title that eventually brought about harsh persecution. The slaughter of millions of innocent Jews by the hands of The Crusaders, the Inquisitions in Spain and Portugal, the Pogroms in Russia, and the Holocaust, were instigated mostly because of that accusation. The birth of Islam in the seventh Century, eventually caused Judaism and the Jews to again be an enemy and target, this time by Muslims. Jews were often the enemy of the two monotheistic religions, when in a sense, Judaism was their predecessor and their foundation. Throughout the centuries many injustices were carried out against Jewish people by both Christianity and Islam. For 400 years, from 1517 to 1917 the Ottoman Empire governed Palestine. The League of Nations, founded on January 1920, entrusted the British with a mandate of the region. However, before the British Mandate started, the Balfour Declaration of November 2, 1917 favored a homeland for the Jewish people. The declaration later on influenced the decision of the UN in November 1947 to provide a homeland for the Jewish people in Palestine. Hence, the birth or rebirth of the Jewish state occurred on May 15 of 1948. In 1939 when World War II began, the Nazi regime among other horrific goals, set the annihilation of the Jewish people as its top priority. During the war some six million Jews in Europe were systematically killed and burned at various death camps. Jews suffered not only in Europe, but also in some of the Arab countries as well, under Islam. For generations my family lived peacefully in Iraq, but soon after World War II and the establishment of the state of Israel, they had to flee. Many came to Israel and others went to Iran. Later, during the Islamic revolution, they had to escape again. They were refugees who had left Iraq with almost nothing and later on had to leave Iran in similar condition as well. In both cases, they had to restart their life with no compensation at all. The Independence Day of Israel was not only a joyous day for the Jewish people, but it also had deep spiritual meaning. Many saw this as a return of God’s favor for not only bringing them back to the land of their fathers but also giving them independence from foreign rule with the ability to protect themselves from destruction by other nations. Unfortunately, this happy historical day for the Jewish people became the “Nakba” Day, the “Great Catastrophe,” for the Palestinians. During that time many Palestinians who were living in the land either left or were forced to leave by the Jewish people. The issue of Palestinian refugees began. Many Palestinians fled to neighboring Arab countries. In those places, including Lebanon, Jordan, and other countries, they remained as refugees, often living in refugee camps. Some, do so still. In any conflict, it is crucial to understand the other side and how they see things. Though we want to think facts are objective, even the best of intentions lead to the interpretation of the facts from one’s own perspective. Often, the same facts are seen differently depending on from which side you are looking at them. What is seen as a defense by one group of citizens can be seen as aggression by the other side. Confiscation of land can be marked as securing the borders, and one’s Independence Day can be seen as a Catastrophic Day by others. Even when it comes to interpreting the scriptures, we see differences. Jewish believers and Christian Arabs can read the same passage of scripture and come to completely opposite conclusions. For Jewish believers, the restoration of Israel and the return to the land is crucial. For the Palestinian, justice is the main issue. To the Palestinians, at the heart of the conflict lies the injustices committed by Jewish settlers and the Israeli government in the years of occupation. These injustices go back to 1948 and even before the independence of Israel, and from their point of view continues even today. Hillel Cohen in his book, 1929 Year Zero of the Jewish-Arab Conflict, argues that we cannot really understand the Jewish-Arab conflict without understanding August 1929 events. Those events also referred to as the Western Wall Uprising, shaped in many ways the views and the attitudes of both sides. During the riots, and in particular the events between August 23-29, some 133 Jews were killed and about 340 injured. Some 110 Arabs were killed and 232 were injured. 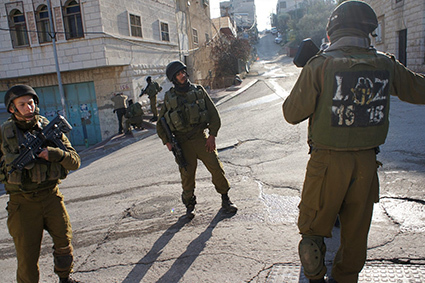 The riots happened in Hebron, Safed, and other towns. “Its impact can be seen clearly in 1948 and even in 1967, as many who experienced the events of 1929 were the ones who shaped the worldview of the conflict.” Such events are engraved deep in the memory of both sides and need to be dealt with, and not ignored as often is the case. The events of Deir Yassin on April 9, 1948 presented another tragedy that fueled the development of the Arab-Israeli conflict. In that tragic event, some 100 Palestinians, including women and children were killed by the HaIrgun HaZevai Haleumi. As a result of this massacre, many Palestinians, out of fear and through the encouragement of some Arab countries, left Israel and became refugees. They feared that such actions would continue, and they made the decision to become refugees and remain alive, rather than to withstand other such tragedies. But sad to say, many of them were also forced by Jewish people to leave their land and homes. I believe that we, as Messianic believers, need to face these unjust acts and confess them to our Palestinian brothers and sisters. While often injustices cannot be repaired, yet there is a need to acknowledge them, ask for forgiveness, and do what can be done, if anything, to repair them. And more importantly, we can strive to insure they don’t reoccur. Unfortunately, our fallen world is full of injustices. In the last century, we can recall horrible events that have happened to the Armenians, the Gypsies, the black Africans during the slavery era, the Apartheid regime of South Africa, Native Americans, the Nanjing in China, the Bosnian Genocide, the Darfur War in the Sudan, the recent war in Syria with some two million refugees, and the terrors of ISIS. Too often in our Jewish and even Messianic circles, we have the tendency to downplay and ignore the suffering of the Palestinians. Much suffering, caused by the Israelis, and at times Christian Zionism in its more extreme form, has created a wall between Arab Christians. Palestinian Christians see themselves as those who have kept the faith and maintained a continuous presence in the land from the early times of the birth of Christianity. Many are still living with those tragic memories and their consequences. Today, many Palestinians are refugees in Arab countries. These Palestinians have no passports, but rather a refugee status which makes traveling internationally a challenge. Albeit, Arab countries didn’t make much effort to help improve the condition of their Palestinian brothers and sisters. They kept them segregated in refugee camps within their “host” country. Life and traveling remain a real challenge for them, not to mention the many who live with the hope of returning to their homes in Israel. While it might be hard to admit, the fact is that injustices and harsh dealings have occurred by us, the Jewish and Israelis people. These include the expulsion of Arabs from their homes and land, and even Arab villages that were taken over for “security” reasons. Many Arabs who were living in various parts of Palestine became refugees as the result of the Jewish settlers taking over their homes and land. These are facts we cannot ignore. I believe that too often as Messianic Jews we tend to look at the conflict mostly from our own point of view, based on what we have been taught. We need to realize there is another side, and we would do well to listen to the Palestinian narrative and feel their pain. While the majority, if not all of us as Messianic Jews, believe the land has been given to us as a promise and is indeed part of God’s plan of salvation for the whole world, yet we need to realize that the Palestinians see these promises in a different way. To them the hard question is how can God’s plan of redemption include so many injustices including the confiscation of land by the people of the promise? If God is the God of justice and peace, then why are so many Palestinians suffering? These are legitimate questions we cannot disregard. On the other hand, we as Israelis and Jewish believers ask our Palestinian brothers and sisters how our country should respond when it is threatened by terrorist acts of the Palestinians and terrorist groups like Hamas, Hezbollah, ISIS, and others? This question comes in light of some efforts on the Israeli side to bring a resolution to the conflict. At the Camp David Summit in 2000, Ehud Barak, then prime minister of Israel, was willing to give back much of Judea and Samaria, including parts of East Jerusalem and agreed to the establishment of the Palestinian country. Yet, Yasser Arafat rejected the proposal. Later, in 2005 Israel pulled back all the civilians and military personnel from Gaza and since then thousands of missiles have been fired on Israel, about 5,000 of them during the August 2014 war. In Christ and in Him alone, there is hope for us to find reconciliation in the Israeli-Palestinian conflict. While we may not be able to find a solution to the political turmoil of the Israeli-Palestinian conflict, yet it is our duty to do what we can to show the love of Christ also to our enemies but also to find a way to express our unity in Christ. We are indeed one new man in Him, as Paul so eloquently writes about in Ephesians 2. There are many more questions and much more to say, but is there a solution? I believe as Jewish Christians we have to listen and attempt to understand the problems of our Palestinian brothers and sisters. There is so much pain in their stories and at least some of it is due to the acts of our people. I believe that the Israeli Defense Force is one of the more moral armies in the world, yet the fact is, that at times we overuse our power. This can be seen by the treatment that Palestinians receive at various checkpoints, or at times, in the reaction of the air force. We can also give many heroic examples of how pilots endangered their lives in order to avoid innocent bloodshed. Even so, we need to confess our shortcomings and the wrongdoings of our government, and sometimes we have to be critical of it as well. We need to enter into dialogue with our Palestinian brothers and sisters, even though we might think we can’t bridge the gap. Meeting and listening to each other can help us see things in a new perspective and hopefully become more objective rather than subjective in our thinking. We see the venomous acts of ISIS and see the danger of Islamic extremists in Hamas and other organizations as mentioned earlier. As Israelis living in a volatile land, we need to protect ourselves and our borders from those who have the goal of destroying us. This means that we will always have to maintain a strong, modern and technologically advanced military. This is, unfortunately, is a must! At the same time, a dear friend of mine, Professor Bill Wood, from Point Loma Nazarene University in California, often reminds me that both Palestinians and Israelis are created in God’s image, and we ought not to forget this. We need to be careful not to lose our moral compass and become full of revenge. Lord Acton said, “Power corrupts and absolute power corrupts absolutely.” We need to be very careful how we use our military fire power. We must continue to preach the gospel and in this way fulfill the call of being a light to our nation. As Jewish believers, we are still a very small minority in Israel, yet we can and will try to impact our society. Finally, we should not be surprised to see so many conflicts in the world. The opposition is not only between good and evil, light and darkness, but also the evil and darkness that is within each one of us as human beings. As believers in the Messiah, with citizenship in heaven, with a new heart, and a new identity, our views of the conflict between the Israeli and Palestinian position, and for that matter any similar issue, should be shaped by our understanding of the Word of God, and not by our nationalistic inclination. And this is not an easy task, but with God all things are possible! May God be with us in this effort and may He give us the wisdom to move forward. Brown, H. Wesley & Penner, F. Peter. Editors. Christian Perspective on the Israeli-Palestinian Conflict. Czech Republic, Neufeld Verlag Scwarzenfeld, 2008. Crombie, Kelvin. For the Love of Zion: Christian Witness and the Restoration of Israel. Terra Nova Publishing, Bristol, U.K., 2008. Harvey, Richard. Mapping Messianic Jewish Theology: A Constructive Approach. Authentic Media, Milton Keynotes, Bucks, U.K. 2009. Horner, E. Barry. Future Israel: Why Christian Anti-Judaism Must Be Challenged. B & H Academic, Nashville, Tennessee, U.S.A.
Johnson, Paul. A History of the Jews. Harper & Row Publishers, New York, U.S.A. 1987. Maltz, Steve. The Land of Many Names: Towards a Christian Understanding of the Middle East Conflict. Authentic Media, Milton Keynotes, Bucks, U.K. 2003. Masalha, Nur. The Palestine Nakba: Decolonizing History, Narrating the Subaltern, Reclaiming Memory. London New York, Zed Books, 2012. Morris, Benny. Righteous Victims: A History of the Zionist-Arab Conflict, 1881-2001. New York, Vintage Books, 1991, 2001. Munayer, J. Salim. Seeking and Pursuing Peace: The Process, the Pain and the Product. Editor. Jerusalem, Israel, Musalaha, 1998. Munayer J. Salim & Loden Lisa. Editors. The Land Cries Out: The Theology of the Land in the Israeli-Palestinian Conflict. Eugene, Oregon, Cascade Books, 2012. Rebiai, Maecel. Islam, Israel and the Church. Sovereign World Ltd. Lancaster, England, 2006. White, Andrew. Father, Forgive. Monarch Books, Oxford, UK, 2013. הלל כהן. תרפ”ט: שנת האפס בסכסוך היהודי-ערבי. ירושלים, הוצאת כתר, 2013. Then the LORD appeared to Abram and said, “To your offspring I will give this land.” So he built there an altar to the LORD, who had appeared to him (Genesis 12:7 ESV). Judges 2:11, 3:7, 3:12, 4:1, 6:1, 10:6, 13:1. The fact is that that Jesus of Nazareth, never came to bring a new religion, but rather to fulfill the Old Testament and bring back the Jews to their call of being a light to the nations. However, as more and more Gentiles adopted not only the God of Israel, but also the Jewish Messiah, they eventually disregarded the Jewish roots of the faith and adopted a Greek philosophy! The League of Nations was founded after the World War I with the goal of bringing and maintaining global peace. World War II clearly showed that the League failed after some 25 years to achieve its goal, and as a result, the United Nations was born, replacing the League of Nations. HaIrgun was a pre-Israel Defense Force (IDF) military organization that operated between 1931 and 1948, the year that IDF was founded. HaIrgun was part of the right-wing Revisionist Zionism that was founded by Ze’ev Jabotinsky. The organization is known for two operations it carried out that caused much damage to its name. The first being the bombing of the King David Hotel in Jerusalem on 22 July 1946 and the Deir Yassin massacre, carried out on 9 April 1948. In 1937 in a period of six weeks, the Imperial Japanese Army brutally murdered hundreds of thousands of people in Nanjing, then the capital of Nationalist China. While there are no official figures of the atrocities, the estimate figures are that 20,000 to 30,000 women were raped and some 200,000 to 300,000 people were killed. As I am working on this paper three young Israelis were abducted and viciously murdered. Their murder was in retaliation for the murder of an innocent Palestinian teenager days earlier, and these killings led eventually to the Gaza war of July/August 2014. Thousands of missiles and rockets were fired on Israeli cities as far as Haifa and further, while the Israeli Air Force targeted Hamas terrorists, rocket factories, Hamas offices, and some of the infra-structure of Hamas and Gaza. One thing was very clear. Innocent people on both sides paid the price. This entry was posted in Current affairs, Jewish Believers, Written Materials. Bookmark the permalink.